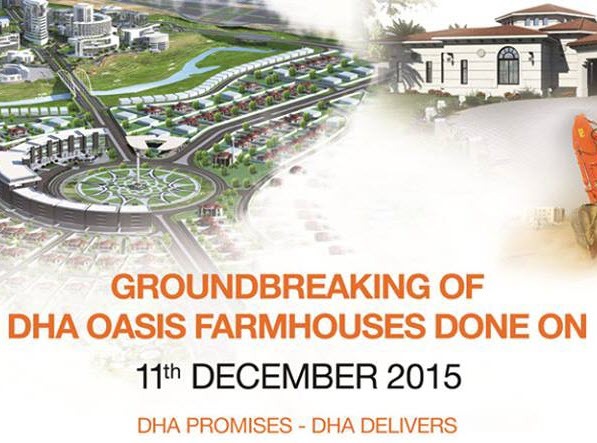 DHA Karachi is about to launch ‘DHA Oasis Karachi‘, Ready Farmhouses of 2000, 2500 and 3000 Square Yards in DHA City Karachi (DCK). A complete living unit with 3-4 spacious bedrooms, modern kitchen, swimming pool. barbeque area, beautifully landscaped lawns etc. Possession in 30 months. 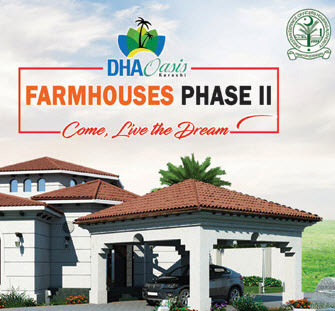 You can download the Registration Forms of DHA Oasis Karachi – Ready Farmhouses in DHA City Karachi (DCK) for Free. Eligibility Criteria: Applicant must be a Pakistani Citizen (CNIC and NICOP holder), having age not less than 18 years on 24 August 2015. This Registration Form is Free of Cost and downloadable from DHA Website www.dhakarachi.org. This Form cannot be sold by any individual / organization / company. Registration Form alongwith payment must be submitted in shape of Bank Draft/Pay Order in the name of DCK HOUSING APPLICATION. Branches of Askari Bank Ltd, Bank Alfalah Ltd, Bank Al Habib, Dubai Islamic Bank, Habib Bank Ltd, MCB Bank Ltd, Standard Chartered Bank and United Bank Ltd will accept the Registration Form alongwith Pay Order / Demand Draft. Each Registration Form is for one Farmhouse only. One person can apply for one Farmhouse in each size category only. After submission of Registration Form, the registration will remain non-transferable. Allotment of Farmhouse will be through computerized balloting. Deposited amount, except the processing fee, will be refunded to the unsuccessful applicants after 90 days of the ballot. Registration with this scheme does not entitle any benefit before balloting. Only successful applicants in the ballot will be entitled for the booking of Farmhouse. No applicant will be paid any interest/mark up against the paid amount of Registration. Booking Form will be sent to the address of registered members who are successful in the ballot through courier service. Successful applicants in the ballot will deposit Down Payment and Membership Fee within the specified booking period of Farmhouses. In case of failure, the registration will be cancelled and registration amount less processing fee will be refunded. Project features may change on technical, legal or any other reasons. 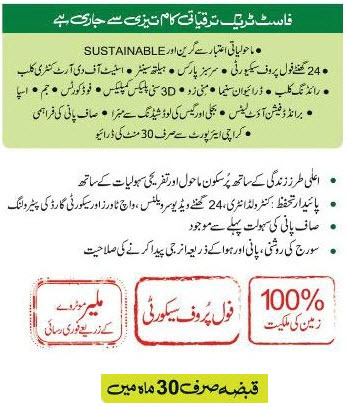 Applicants will abide by all the terms and conditions of the Farmhouse Project in addition to the DHA Bye-laws, Rules & Regulations governing for Registration, Balloting, Booking, Allotment, Construction and Transfer of Property, enforced from time to time and of any other Authority / Department related to the Project.